Earth-2 Iris is a tough gal, whether her boyfriend is or not! She has a gun pointed on whoever is standing before her and it looks like she means business! 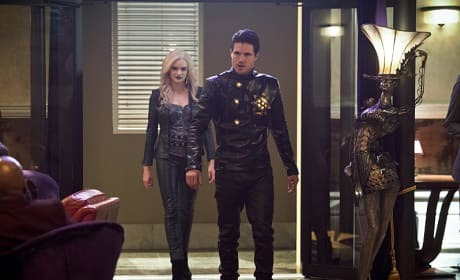 Earth-2 Barry looks either scared or surprised. 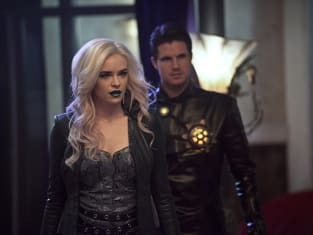 Let's guess it's the latter, as Earth-1 Barry will be meeting both of them while he's over there trying to help Harry save Jesse from Zoom. 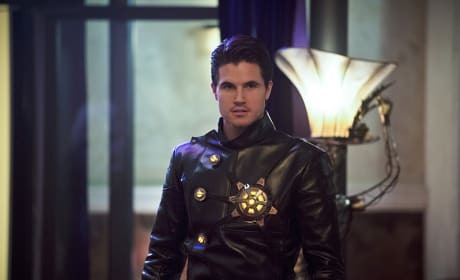 Wonder who will be Ronnie's other half to form the big bang he'll need as Deathstorm like he used to get as Firestorm. 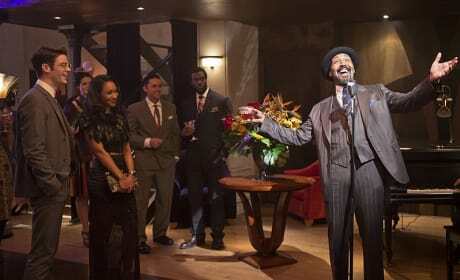 Will Dr. Stein be the counterpart on Earth-2, too? 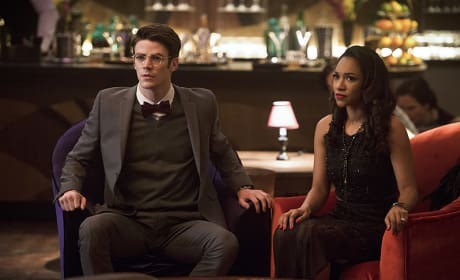 Earth-2 Barry and Iris appear to be a couple. 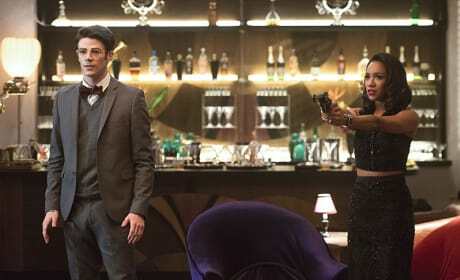 Will this make Barry think twice about the way things are going for him and Iris over on Earth-1? 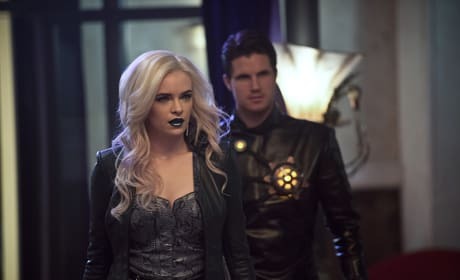 Nothing prepares Barry for meeting the Earth-2 versions of Caitin and Ronnie, villains Killer Frost and Deathstorm. We certainly can't wait!